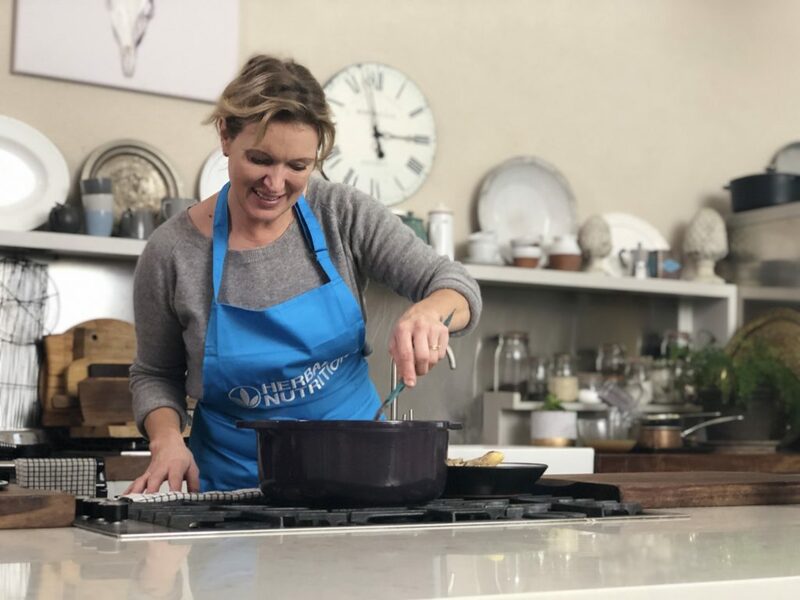 Working on a set of recipes exclusively for Herbalife Nutrition, celebrity chef Rachel Allen invited the Herbalife team to her own home in Cork, Ireland. And although the weather was slightly grim , her warm personality lit up the room and the mood of the whole team. Rachel is the perfect host who will go out of her way to keep everyone happy, and -of course- well-fed. 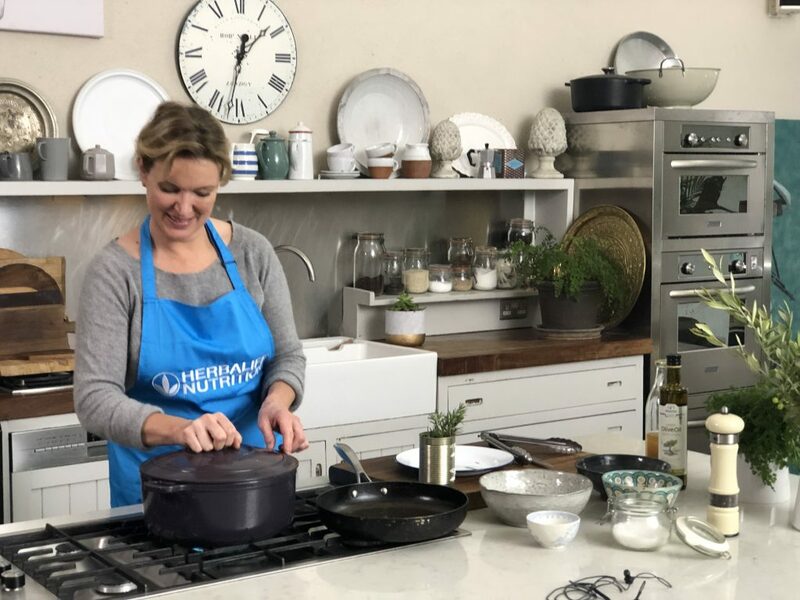 Humble and kind hearted, Rachel can talk about condiments or eggs with such passion and her burning enthusiasm for food shines through all of her recipes. 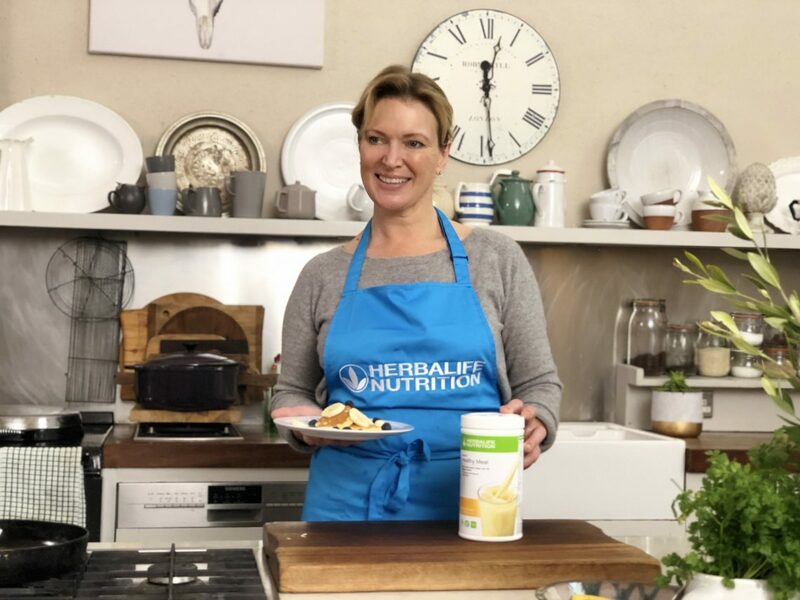 She also shares Herbalife’s ethos about healthy eating, which is always a key element in all of the exclusive recipes she is developing for Herbalife Nutrition. For more of Rachel’s amazing, exclusive Herbalife Nutrition recipes click here. HN: This is your second campaign with Herbalife Nutrition, so what did you initially know about the brand and how do you feel about it now? Rachel: I initially thought Herbalife just made protein drinks, and I wasn’t aware about the company’s ethos. what is great is how Herbalife promotes the whole active, healthy lifestyle. It’s really lovely that the recipes that I am writing for the company, tie in with that – it has a nice synergy. I think the message is that no matter how busy our lifestyles are, we can always make time to eat well and pay attention to what we’re putting into our bodies. HN: Which products do you like? Rachel: The F1 Banana Cream! I had it this morning actually, because I knew that I wouldn’t get to get time to have breakfast. And I really like the F1 Vanilla because I find it’s just really versatile with other flavours. It’s a great one to blend in with fruit and vegetables too l, like I did with the Green Goddess shake. HN: Do you like to cook and eat a huge variety of food at all? Rachel: Yes, I’m really passionate about having the rainbow of colours in my diet, and I’ve tried to reflect that in the recipes I’ve created for Herbalife Nutrition. I do love simple, seasonal food. Dishes that look lovely but aren’t very fussy to create; simple, concentrating on the ingredients. Good ingredients give me good energy; I find if you notice you feel lethargic it’s often because you’ve eaten lots of bad food, and then you top up on sugary treats for a quick fix which leads to more lethargy. It’s a repetitive cycle which can be avoided by making sensible choices and eating a balanced, nutritious diet. I try not to get into that bad cycle. HN: What is your ethos and how does that resonate with the Herbalife ethos? Rachel: I am very passionate about healthy food, and how it makes me feel. I really like to have a well-balanced diet and the way it makes me feel. 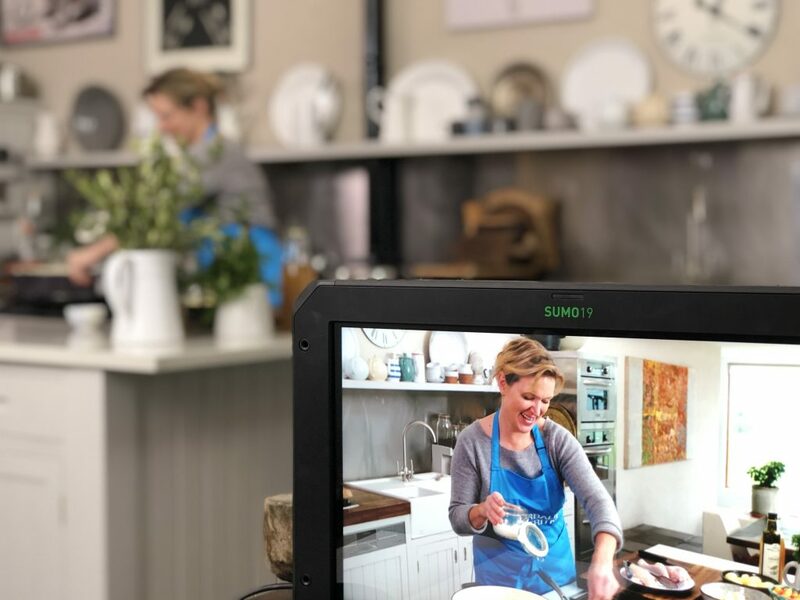 That’s why it made such sense working with Herbalife Nutrition, because it’s all about finding a good, healthy, balanced way of life. .
HN: Tell us about the recipes we’ve filmed today? Rachel: The F1 Banana Cream Pancakes are delicious and a real treat for any day of the week. You can make it with lots of berries or grapes if you wish, it’s a great opportunity to get in lots of extra fruits. And of course, you can up the oats and decrease the flour if you like, or use gluten-free flour instead. 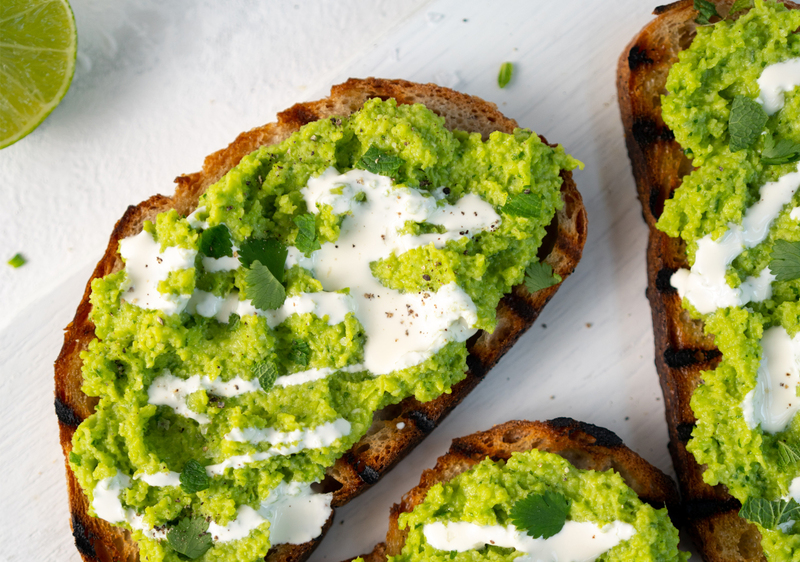 The Broad Bean guacamole, is a great way to eat lots of greens and is a perfect breakfast or lunch dish. Lastly, the Chicken Casserole is just a really nicely balanced dish for all the family. 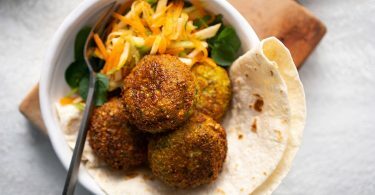 It’s so versatile and you can play around with other vegetables in there too; parsnips with carrots for example, celeriac and any other root vegetables work really well. I also love to put lots of greens in at the end like charred kale for an extra dose of vitamins. I love recipes like this that allow you to vary the ingredients according to the seasons and what I have in stock. HN: What are your favourite meals and favourite ingredients? Rachel: Chicken often appears as a bit of an all-round favourite, great for easy casual entertaining, as well as for a cosy family supper. Whether it’s roast or it’s casserole, it’s always a winnerI also couldn’t be without eggs – they never fail to make a delicious breakfast! Poached egg is delicious with so many things and is great served on top of broad bean guacamole on grilled sourdough. They bring so much goodness and are the fastest little food to throw together. Other favourite ingredients, are chorizo, which I add into anything, be it a chicken casserole or a lovely beany broth soup. It brings so much flavour. HN: Do you have any tips for people who want a good healthy breakfast option? Rachel: I always like to use free range eggs with greens. Two eggs whisked up, cooked in the tiniest bit of butter or olive oil, or coconut oil, and just cooked really quickly as an omelette. And you can add in your greens, whether it’s kale, spinach, chard, wild garlic greens. Even wild garlic leaves with chorizo, tomatoes, coriander, parsley. An omelette base is just brilliant and can just be so versatile. HN: Is anyone from you family on the shakes, using the shakes? Rachel: Lucca has been actually. (16-year-old Lucca is a successful Formula 4 driver). He has been making really nice ones with Vanilla with banana and peanut or nut butter.. It’s great as post-workout type of shake which ticks the box perfectly for him as he was looking for a healthy option, complimenting his workout. HN: What is your favourite meal of the day, and why? HN: What are your go-to meals for a family dinner? Rachel: We tend to mix it up a little bit. It depends on our moods and also on who is the cook at a given evening. Isaac, my husband quite often cooks, it depends which one of us has been around more during the day that have had some time. I love making fresh pasta, and then just having it really simply with lots of greens and some olive oil, a little bit of garlic, I absolutely love thatand my daughter, Scarlett does too. But then the next day it could be an Asian stir fry, ora classic Irish stew made with lamb. When I cook I do try and please everyone, including myself. I don’t cook two separate meals, it’s just one meal we all eat the same thing. HN: What is the favourite part for you in your job? Rachel: The variety, and getting to eat, I just love eating. HN: You’re a feeder as well not just an eater aren’t you? Rachel: Yes, otherwise I’d eat it all myself, speaking of which I need to give you biscuits. HN: What are your plans for 2019? Rachel: I think I, I am always driving for balance, I think that’s because I’m a Libra, what horoscope are you? Rachel: Yes, balance in my life, to perhaps, maybe start building a new house. HN: That’s a big plan.